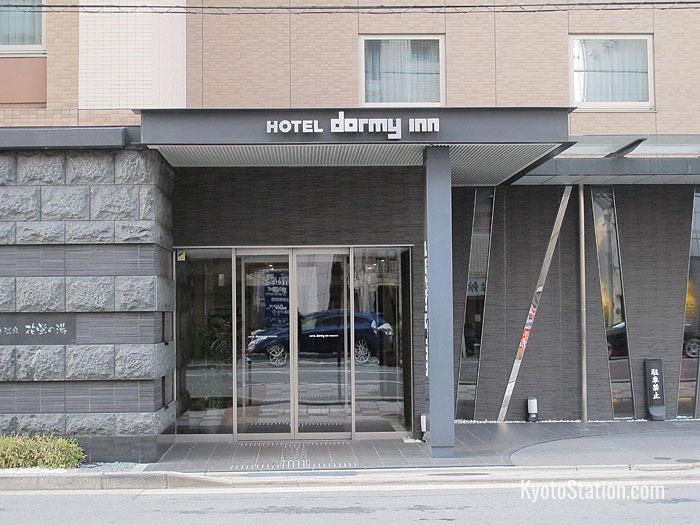 Dormy Inn Premium Kyoto Ekimae is a superior business hotel just 3 minutes walk from Kyoto Station’s north central exit. 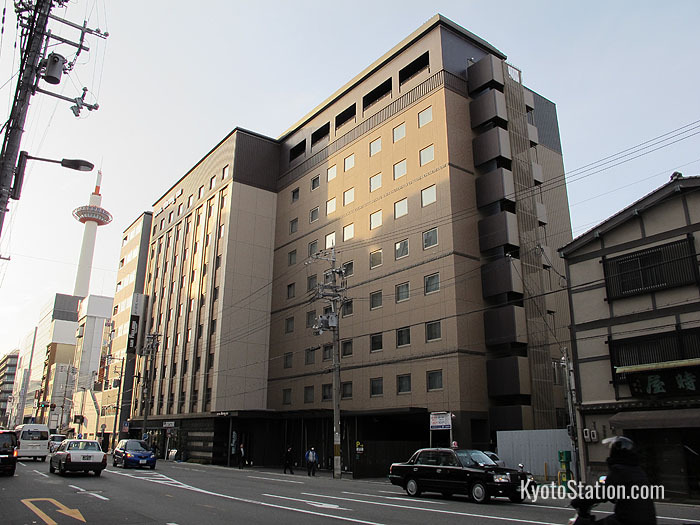 It is very conveniently situated for local shops and restaurants and nearby attractions include Kyoto Tower, Higashi Honganji Temple and the Shosei-en garden. This hotel opened in 2010 and is excellent value for money for either business travelers or tourists mainly because of its superior facilities and its excellent rooftop spa. 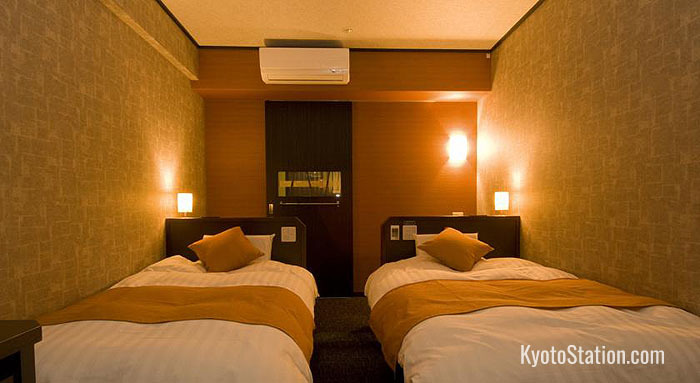 Single rooms, doubles, twins, queen sized rooms and Japanese style queen sized rooms are all available. Guest rooms tend to be small, but are clean and comfortable and have everything you might need for a short term stay. All rooms have LCD TVs, air conditioning, a refrigerator, free Wi-Fi, a hair dryer, nightwear, a deodorizer spray to freshen up your clothes, and a full set of complimentary toiletries. All beds are fitted with world famous Simmons soft down bedding to ensure a comfortable night’s sleep. As well as the usual domestic channels, view on demand TV channels available for a fee of 1000 yen per day. There is also a TV channel you can use to check how busy the restaurant or spa is. 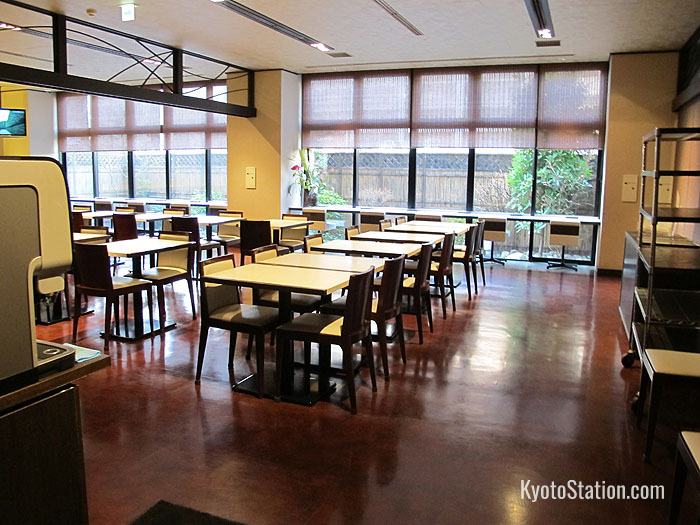 Breakfast is available for surcharge of 1500 yen from 6:30 – 10:00 (last orders are at 9:30). 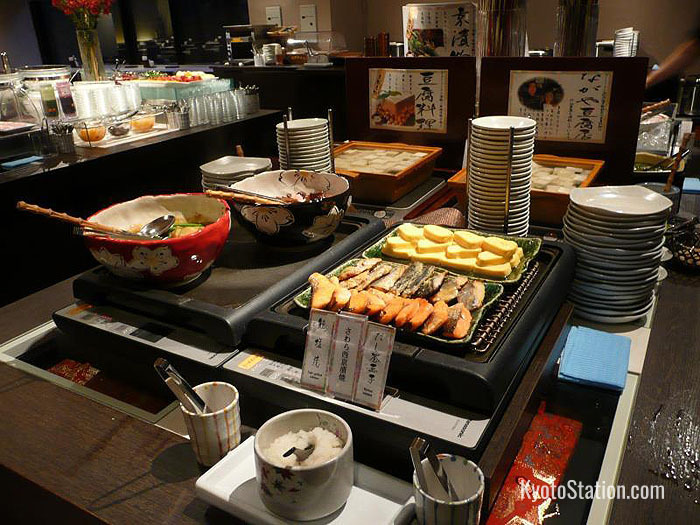 This is a buffet style breakfast of both Western style and Japanese dishes, but with a heavy emphasis on classic Kyoto ingredients such as tofu, yuba (tofu skin), pickled vegetables and obanzai style side dishes. As a special service, between 21:00 and 23:00 in the evening, if you are feeling peckish, you can get a free bowl of soba buckwheat noodles here too. What gives the Dormy Inn Premium an edge over other similar business hotels in the area is its natural hot spring spa. The rooftop spa has both indoor and outdoor pools separated by gender. The natural mineral waters are pumped up from a source deep under the hotel, and are great for relaxing in and easing away the stress and fatigue of the day. If you wish, you can also bathe outdoors in the rotemburo style garden baths which are given different citrus fruit infusions according to the season. Inside there is also a sauna with a TV, so you have something to watch while you sweat away tensions, and toxins and let yourself unwind. The spa and sauna are completely free to use for hotel guests and can be found on the 9th floor. The spa is open from 15:00 pm till 10:00 am the following day. The sauna is closed between 1:00 am and 5:00 am. There is also a massage room open from 17:00 – 25:00. You can find a laundry corner on the 9th floor with free automatic washing machines and coin operated dryers. The dryers cost 100 yen for 20 minutes use. A full laundry service is also available for a fee. You can also find trouser presses and microwave ovens in the hotel’s service corner. On the 1st floor there is a computer corner that is free to use and very handy if you need to look up some tourist information or travel schedules. Laptop computers and DVD players can also be rented for a fee. The hotel also has its own parking area for cars.